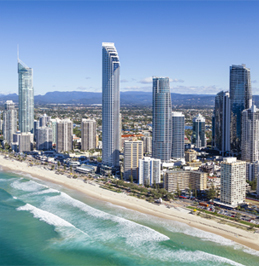 Oceania is an integral part of the fast-growing Asia-Pacific economic area with strong connections to the Americas. Opportunities for international business with Oceania are expanding as global trade networks continue to grow. Australia and New Zealand, Oceania’s biggest countries by population, land area and GDP, are undeniably the region’s high performers. Highly advanced economies with strong future prospects, they are also among the world’s most free economies, easiest countries with which to conduct business and hold high rankings on the UN’s Human Development Index. In addition to their role as regional economic and political key players, Australia and New Zealand have significant cultural links to Ireland: people and trade movements between the Ireland and both countries are strong, and their business and legal frameworks are highly similar. 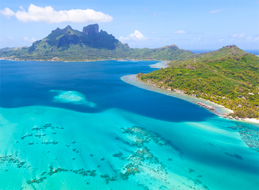 However, Australia, New Zealand and their external island territories are far from the only markets in the region: in addition to European and United States overseas territories in Oceania such as French Polynesia and American Samoa, there are fourteen independent Pacific Countries. Though many of these islands are rich in natural resources and increasingly popular tourist destinations, their economies remain largely reliant on imports and the supporting transport infrastructure to move people and products. A Pacific Island Countries Trade Agreement (PICTA) to further regional trade is in the process of being implemented and discussions for further trade and cooperation between the Pacific Countries, Australia and New Zealand are underway. The EU is negotiating a comprehensive Economic Partnership Agreement with all Pacific Countries, building on its interim agreement with Fiji and Papua New Guinea. This would cover trade in goods and services, sustainable development cooperation and the removal of technical barriers to further promote business relations between Oceania and Europe’s economies. DHL has been a key logistics provider in Oceania since expanding operations to Guam in 1970; in 1972, DHL opened its Sydney offices. Today, DHL’s comprehensive network spans 27 countries and territories in the region – including Nauru, the world’s third-smallest country. Australia plays a key role for DHL’s Oceania operations: in 2009, DHL opened a new hub at Melbourne airport with state-of-the-art cooling rooms designed to handle increased traffic in perishables and life science products as well as advanced sustainability and energy saving measures. To meet growing customer demand on key intercontinental trade lane, DHL launched a new twice-weekly Australia-US flight from DHL’s main Oceania Hub in Sydney to Cincinnati in 2012. So far, the connection has improved transit times by up to a day and increased DHL’s service capacity both within Oceania and the rest of the world.